By now you’ve probably heard about the latest incarnation of Google’s algorithm update – Penguin 2.0. Penguin and its latest successor were in essence designed to prevent the use of ‘black hat’ SEO tactics from being successful in manipulating Google’s results. So if you’ve been using crafty tricks to get ahead instead of trying to create the best possible website for users, it may be time to worry. In a YouTube video in the lead up to the release of the update, Google’s Matt Cutts gave strong indications of who would be affected by Penguin 2.0. “If you’re doing high quality content whenever you’re doing SEO there shouldn’t be a big surprise,” Cutts said. But he stressed that, “If you’ve been hanging out in a lot of black hat forums and trading different types of spamming package tips, then it might be a more eventful summer for you”. So the way to avoid being affected by Penguin 2.0, or to rectify any damage already done to your search rankings, is clear – cut out the dishonest/ artificial SEO methods and focus on improving your site. Here are three proactive ways to improve your rankings and ensure your site doesn’t get picked up by the Penguin. One of the major aspects of negative SEO that Google is targeting is link schemes and links that have been otherwise paid for. So if you’re engaged in any of these tactics, stop immediately. Instead, focus on creating high quality content which other webmasters and bloggers will actually want to link to. Google is wise to keyword stuffing. Keywords are important to SEO but you should only need to use them around 1-3 times per page, and their use should never compromise the quality of the content. Finally, if you’re using SEO copywriting or any content that is copied from other sites, or even duplicating your own content, remove it and replace it. 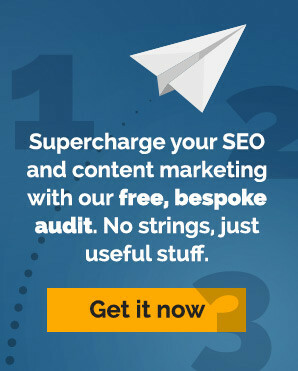 Aside from avoiding penalties from Google, fresh, original content is another great way of attracting links.